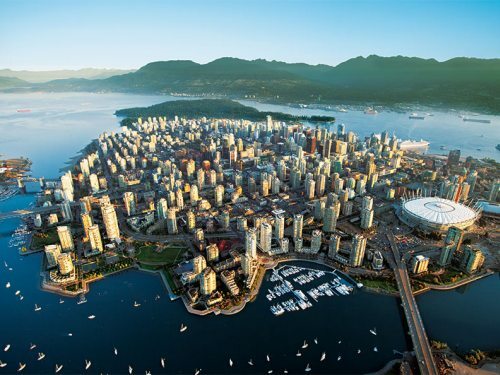 Flair Air (formerly New Leaf) is showing flights from Kelowna to Vancouver or Edmonton for travel in the summer of 2018 for $98 to $118 CAD roundtrip including taxes. There are peak summer travel dates available, including flights in July, August, and September. Vice-versa trips (Vancouver/Edmonton to Kelowna) are also available for $98 to $118 CAD roundtrip. For comparison, Air Canada and WestJet are currently charging $291 to $388 for the same summer flights! Have a look on Google Flights. 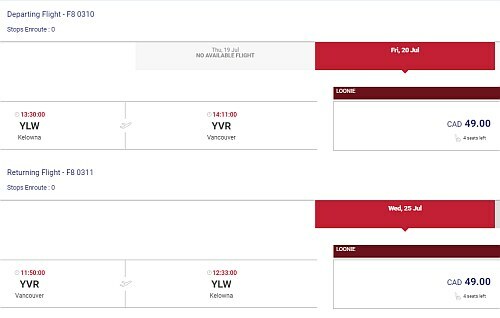 It will be interesting to see if WestJet aggressively matches Flair Air on their summer fare prices, like they have been doing for other seasons of the year. Hopefully this will be the first year Canadians finally catch a break on summer airfares within Canada. At least, between certain cities. NOTE: Flair Air charges extra for both carry-on and checked luggage. Their lowest prices only include a personal item. Dates in and around holiday weekends are available. 2. Search for a flight from Kelowna (YLW) to one of the cities listed above.